Every year since 1920, the Union World Conference has brought researchers, policy makers, clinicians, public health workers, and activists together to work towards the elimination of tuberculosis (TB) and related issues. 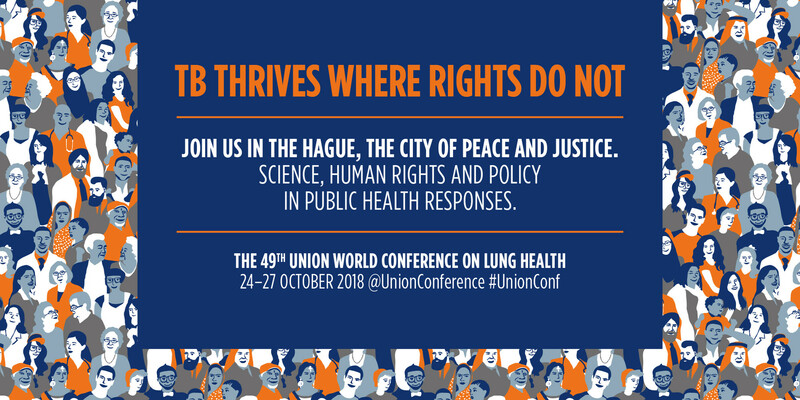 This year, the Union World Conference on Lung Health will be held in the city of peace and justice: The Hague, the Netherlands. The conference theme, Declaring Our Rights: Social and Political Solutions, highlights that eliminating TB and achieving the health-related Sustainable Development Goals requires a coordinated public health response driven by the human rights of each individual. Globally, low- and medium-income populations suffer from poor lung health conditions not only due to limited resources but to other factors such as air pollution, tobacco, occupational hazards, and TB. Every year, 10 million people die from lung disease; approximately 8 million of them had lived with limited resources and low income. In spite of the challenges, we are working towards saving lives and making the world a healthy place. Between 2000 and 2016, an estimated 53 million lives were saved through TB diagnosis and treatment. IDA Foundation realises the need of today, which is to bridge the gaps between essential medicines and the people who need them most. IDA is proud to join the 49th Union World Conference 2018. Come meet us at booth #48 to know more. We'll be sharing information about our products, which include ﬁrst- and second-line anti-TB drugs. To learn more about the full range of IDA’s products and services, click here. To schedule a meeting with us during the conference or to learn more, please contact us via email at info@idafoundation.org or call us # +31 (0)20 403 3051. For more updates, don’t forget to follow us @IDA_Foundation and @UnionConference on social media. We look forward to meeting you and welcoming you to The Hague!